VICTORIA, BC – Category 12 Brewing has announced the release of its first in-house collaboration, as well as the return of a favourite beer from the early days of the brewery. Our barrel-ageing program is a regular source of both joy, mystery, and longing… and we’re delighted at last to be satisfying some of these desires with the release of our very first hosted collaboration with Field House Brewing! We aimed to satisfy our combined passions for all things wild and experimental when Field House visited us last October (with their special Fraser Valley isolated yeast strain) and we brewed an Experimental Pale Ale with that has finally come to fruition. This mixed fermentation was carefully nurtured over the last seven months as a second wild yeast, Brett. claussennii, was given time to develop its signature aroma and flavours. We first launched our Unsanctioned Saison nearly 4 years ago, and it pained us to retire it temporarily to make room for an expanded line up in the taproom. Well, the time has come to relive it’s spicy Belgian-inspired beauty! Unlike traditional saisons, this relatively full-bodied beer has a robust flavour profile that uses a small amount of rye to complement the notes imparted by the use of our in-house Belgian yeast. 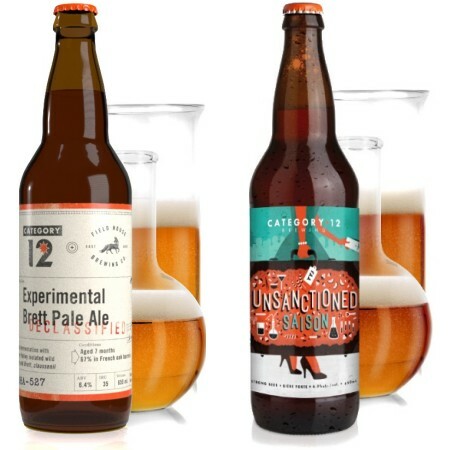 Both beers are on tap now at the brewery, and 650 ml bottles of Unsanctioned are also available there and at select private liquor stores, with bottles of Experimental to follow next week.